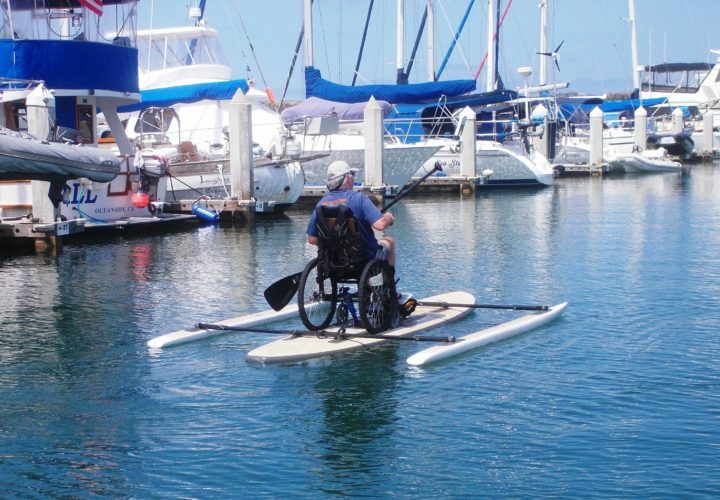 Adaptive equipment allows a skier to participate in a range of water sports from simply skimming the surface to competitive skiing including slalom, tricks and jumping. 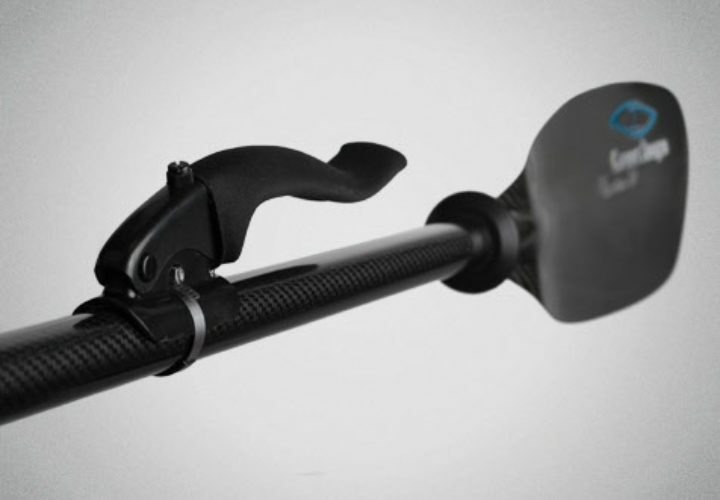 The skier sits in a canvas sling that can be adjusted up or down to change the skier’s center of balance and comes in a variety of models to suit the skiers ability level. 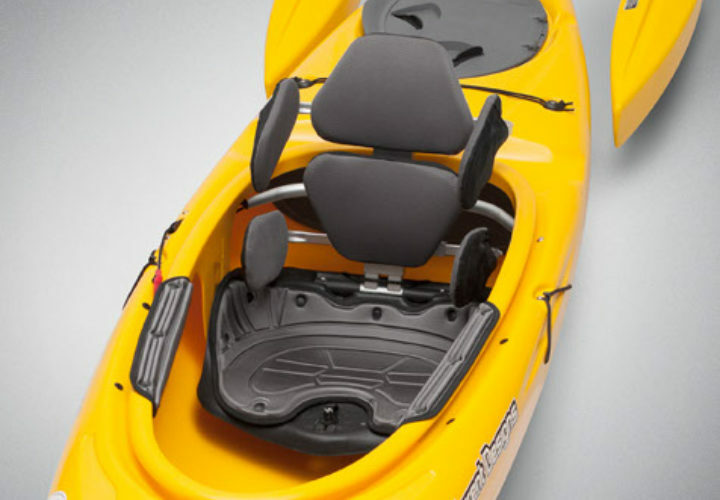 There is a variety of adaptive waterski equipment available that allows individuals of many physical and cognitive disabilities to enjoy the sport of sit-waterskiing and sit-wakeboarding. 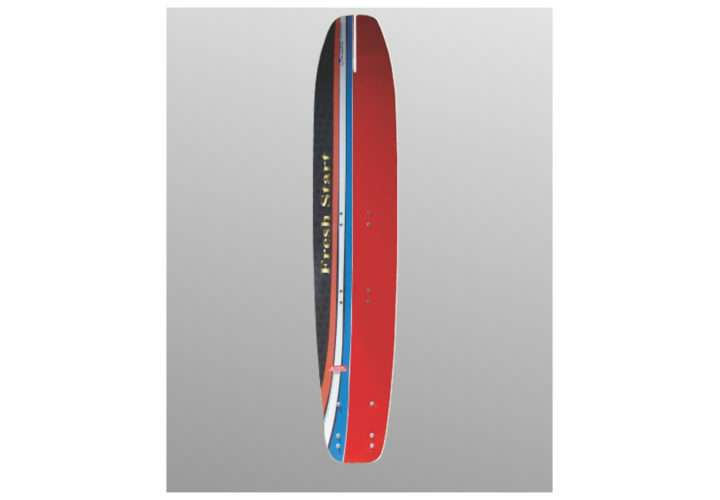 There are a variety of clamps and brackets that utilize the wakeboard manufacturers binding inserts to secure a sit-ski cage to the wakeboard. For more information about the sport of waterskiing and wakeboarding, please visit Disabled Sports USA. People of all ages and abilities can enjoy the fun and excitement of waterskiing. 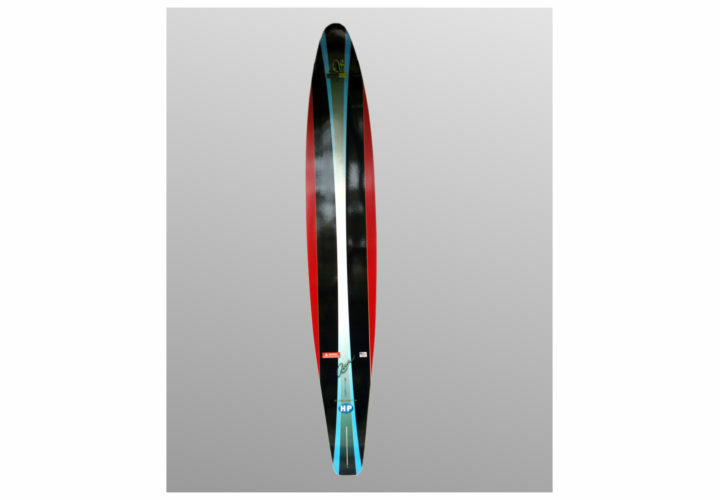 All sit-down skiers use a single-wide ski which also has a metal-framed cage attached. 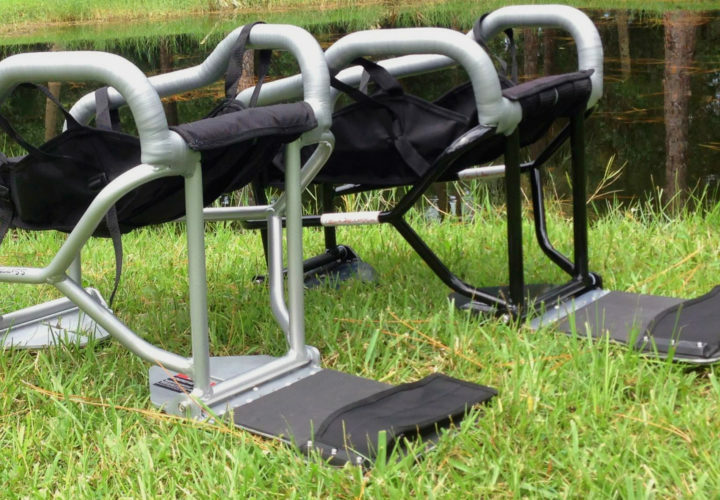 Outriggers and quad-bags can be added as well to assist in balance. 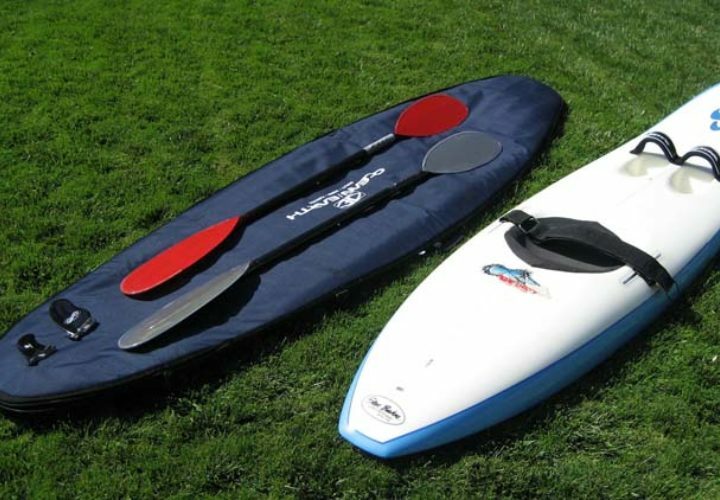 Paddle sports have become wildly popular and the technology for such sports continues to grow. These paddle sports can include canoeing, kayaking, rafting and paddle-boarding. As a sport, paddling emphasizes the individuals ability. There are a variety of hand adaptations to help those who have impaired hand grip and/or impaired wrist strength. Paddle sports are more accessible than ever with these different vvariations of straps and handles. *If your company is interested in being included in our list of adaptive sport resources (or if you have a product update), please send an email to Alison Pilsner: apilsner@craighospital.org.